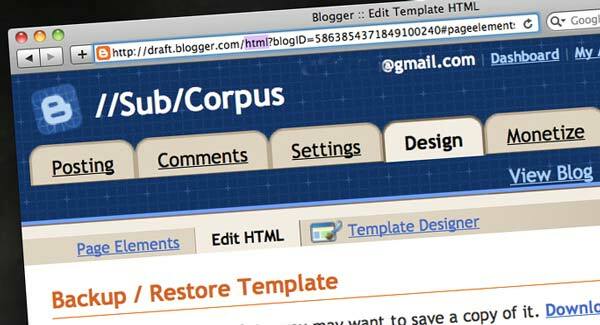 //Sub/Corpus Blog: Blogger, where is my "Edit HTML" button ??? So have you noticed the new Blogger dashboard lately? It looks really polished and more organized, don't you think? I like it. If you have been following this blog, you'd have noticed that it keeps changing every now and then. Nothing wrong with that, right? Well, it keeps changing mainly because I keep messing with it all the time. It seems I can't make my mind up on what I want this blog to look like. I even tried learning some basic HTML just to mess with this blog. As you can tell, that didn't go as planned. Anyways, few days ago, I was thinking about widening the blog post area a bit to better display the images in the blog. I got some time today, logged on to Blogger, and guess what, I couldn't for the life of me find the good old "Edit HTML" button anywhere on my Blogger dashboard. Well, that sucked. So, naturally, I did some googling and it seems the new blogger in draft doesn't have the "Edit HTML" button anymore. Google also told me there is a clever way to bring it back if you really wanted to. Here is how. I can confirm it works for now. - Log on to Blogger and got to Layout option. - Notice the highlighted are in the URL? 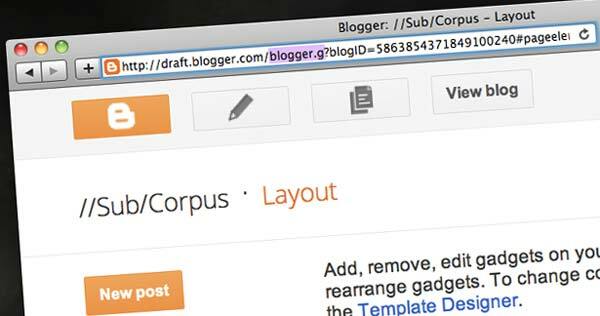 Now edit the URL, instead of "blogger.g" change it to "html". Hit return. - There you go, you have the good old familiar layout with "Edit HTML" button. Now you can play around with your blog as much as you want, but back up the old one, just in case. Hope that was helpful. Happy HTML editing. Blog away.